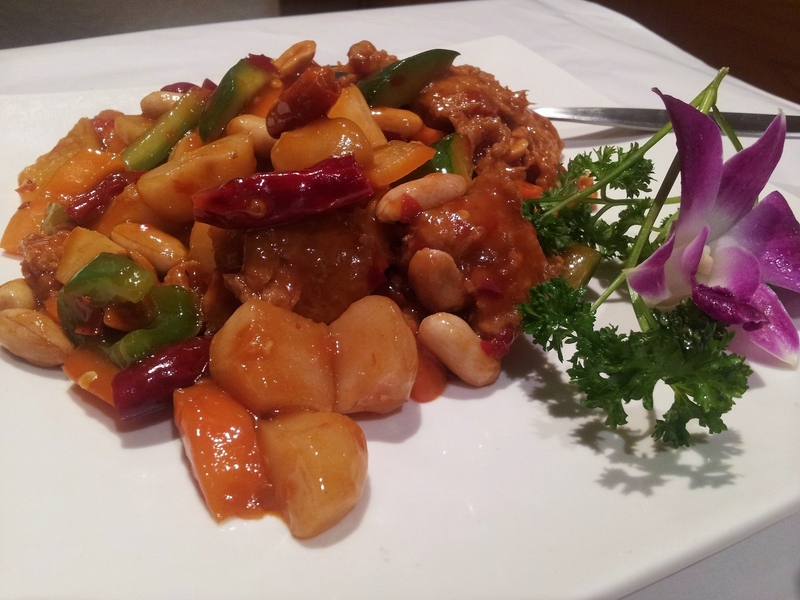 A while back, Veganopoulous posted about a banquet lunch at Gong De Lin which she had bought through an online deal on Scoopon. After noting the array of food, I promptly went online and bought one for myself too. Nothing like a vegan bargain! The voucher sat in my inbox for months, until this weekend when I finally realised I only had a matter of days left to use it. So the bear and I took ourselves out to dinner last night so as not to let it go to waste. Prior to Veganopoulous posting about Gong De Lin, I had never heard of the place. They’ve only been around for a year or so, and they are somewhat easy to miss – on the third floor of a building on Swanston Street, up near QV. I had a quick look on Urbanspoon before we went and noted quite a few reviews detailing rude, angry staff and food being reheated in the microwave. This perhaps set my expectations a little lower than usual, however we were pleasantly surprised. 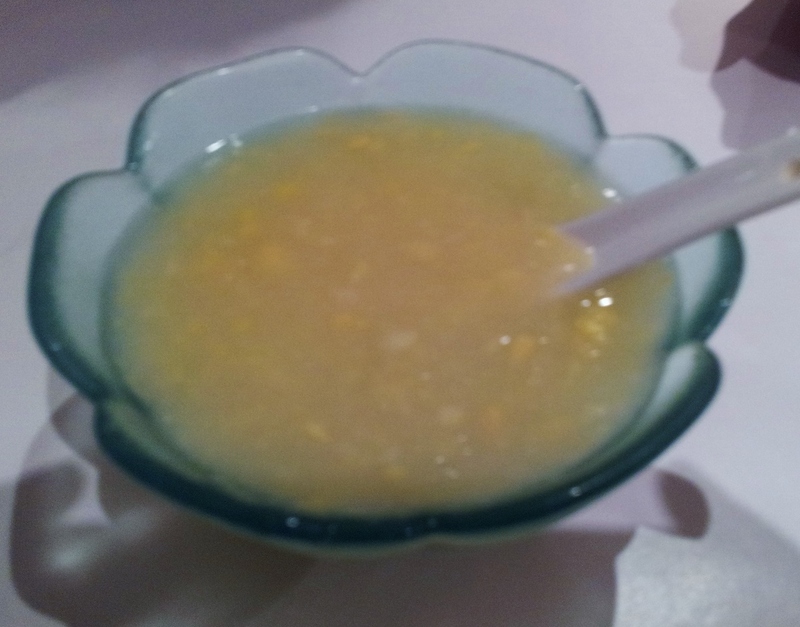 The friendly waitress seated us in a booth by the window and brought us some corn soup very promptly. I love getting to sit by the window, especially at such a height where you can look out onto the streets below. Excuse the crappy camera photos please. The corn soup was pretty standard, similar to one we had in Box Hill last week – I kind of like it, while finding the texture very odd at the same time. It was certainly nice to sip on something warm after coming in from the cold. The waitress was very attentive, and offered us a choice of jasmine tea or soft drink (as they were out of plum juice), as well as a choice between spicy chicken or mushrooms for our main. I was so stoked about being given the choice, and ordered the chicken without skipping a beat. She also brought some dipping sauces for our dumplings much to the bear’s delight – just try and keep his paws away from a jar of chilli oil! Next up – spring rolls. As Veganopoulous said, spring rolls are spring rolls! 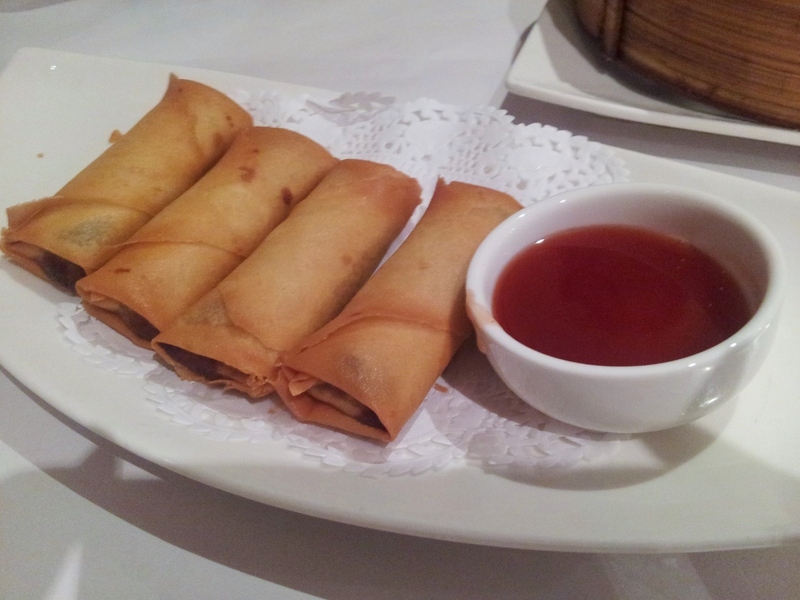 They were enjoyable and not too oily, accompanied by a chilli dipping sauce. The bear was too busy smothering his in a concoction he had made in his own bowl to notice this sauce until the end. The dumplings came out at about the same time as the spring rolls. 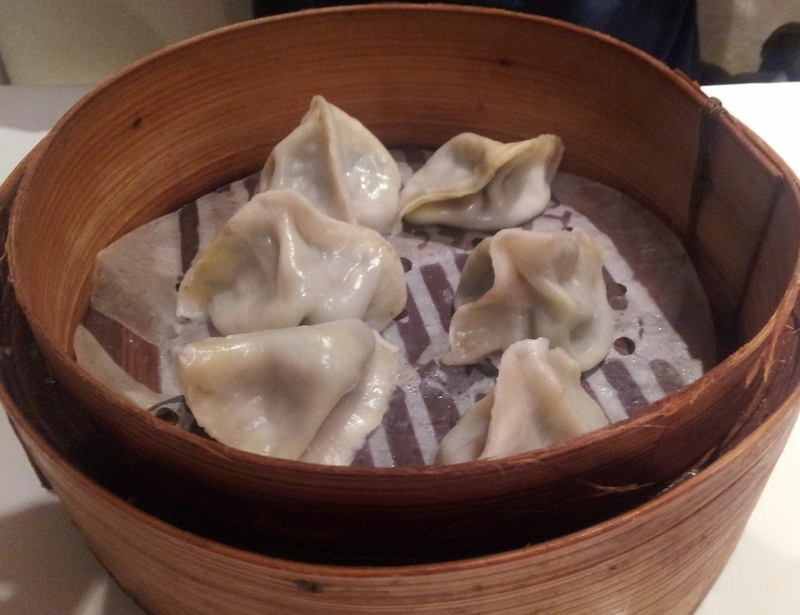 The skin looked quite thick and I feared it might be cardboard-y, but they were softer than I had expected. I always like it when dumplings, buns or spring rolls are filled with mixtures that have identifiable bits in them. These had little chunks of tofu among lots of greens. I enjoyed them. Next up a bean sprout salad. This was a little soggy, but I liked the juiciness to break up the entrees – it was quite a palate cleanser! 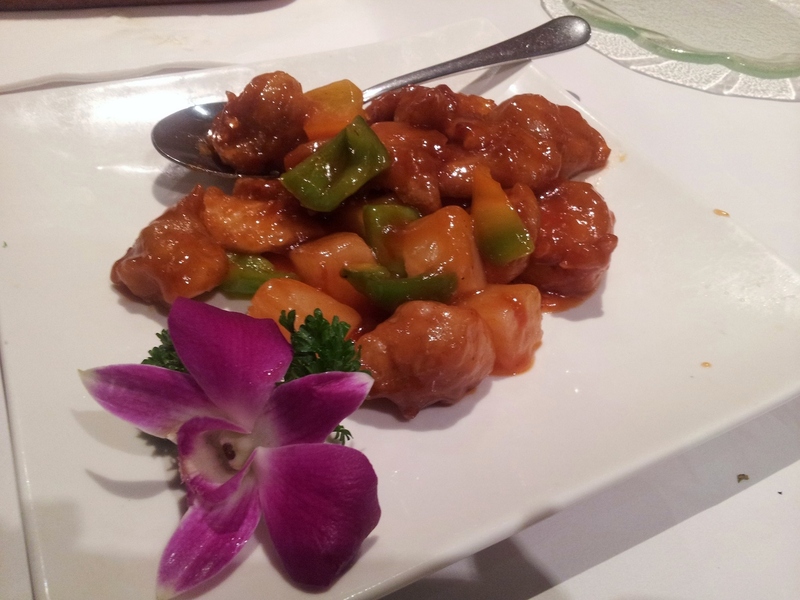 This was bear’s dish of the night – sweet and sour pork. I am constantly amazed by the different textures that mock-meat takes on these days – it really is fascinating. 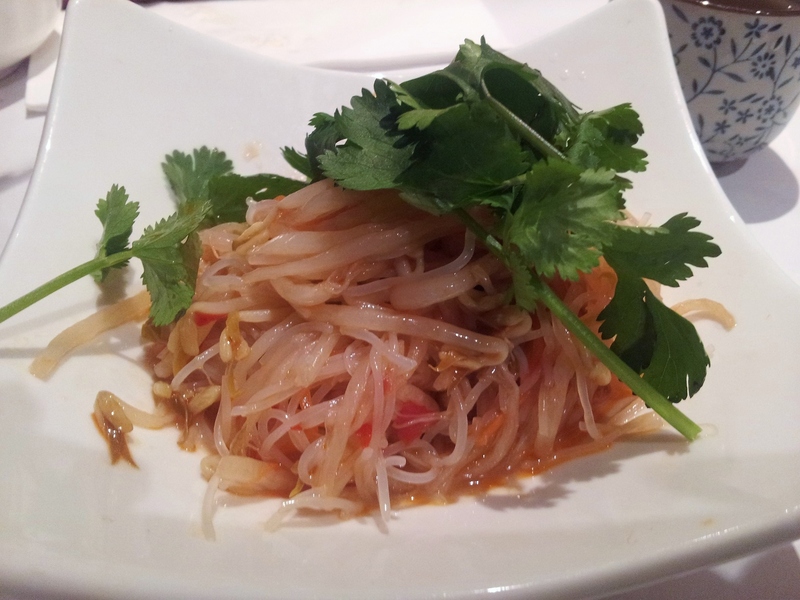 Just last week we had some vegan prawns at Vegie Hut (which I hated – too prawny would you believe?!) The sauce was really thick and the flavour spot on. We were given a bowl of rice each to accompany the mains. The other main was the spicy chicken. The sauce itself was not overly spicy, but there were chillis scattered throughout the dish which certainly packed a punch. This dish also had water chestnuts (which I haven’t had in SO long!) and peanuts. I liked the stringy texture of the mock chicken. Finally, dessert. I’m not going to lie – I didn’t enjoy this. 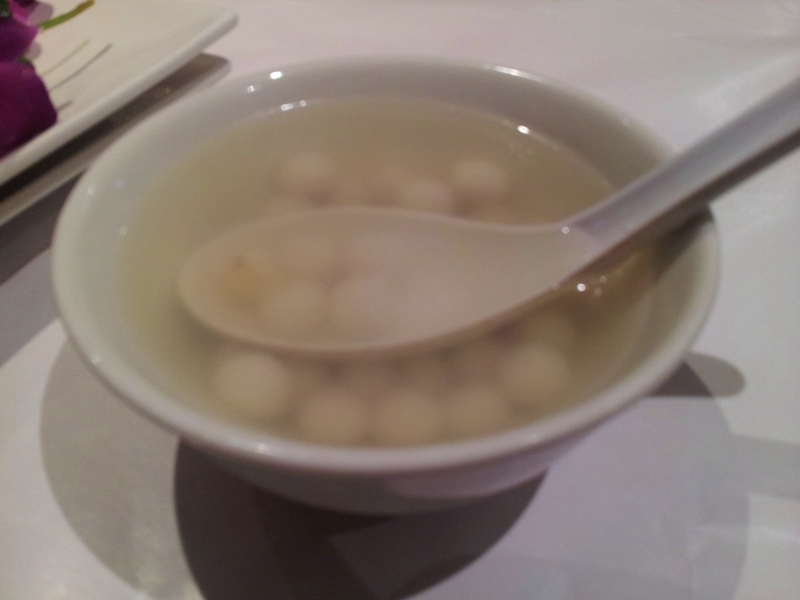 Little flavourless balls of dough in some sugar water. Neither of us finished it. By that point we were pretty full anyway, so it was no big loss. So Gong De Lin is now on the radar – I’ll remember it if I’m looking for a sure-fire vegan Chinese option in the CBD. It was a good deal – $39 for the two of us for all that food, however I did not get a chance to browse the menu to see what the standard prices are. 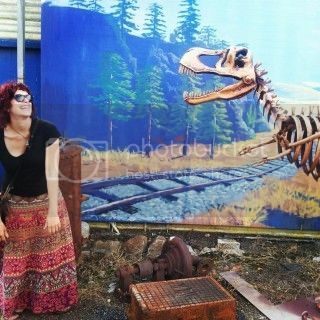 Maybe we’ll just have to come back and find out! It all sounds really good except the dessert… Maybe an acquired taste (or maybe I just prefer highly-sugared desserts, which is something I need to work on! Ooooh that dessert was pretty awful! On my first visit my friend and I had these big dumpling things in that ‘clear broth’ (aka water with sugar) and they were unusual but nice. I really liked those two mains but when I went back there second time with my sister, the spicy chicken was replaced with mushrooms. And of course that ball-y dessert. A shame you missed out on the plum juice, I really enjoyed it! Haha, wasn’t it?! Yes – I wish we had been given the first dessert you had too! I was so glad they gave us the choice, because I didn’t want the mushrooms. I would definitely eat there again, although doing a bit of looking around at others’ experiences, they seem fairly expensive? What a lovely feast and I’m glad that you used up the voucher, b/c everything on this post is making me go hungry for dim sum! Same here, I like dumplings or covered up foods that have familiar ingredients. I bet these vegan meat alternatives are from Taiwan 😉 The dessert reminds me of the glutinous balls, did it have any ginger, sweetness or sweet peanuts in it? If not, then that’s pretty bland for me. Now that you mention it, I think there may have been ginger – there were some little strandy bits at the bottom. Unfortunately, they didn’t seem to add any flavour – it just tasted like sugar and water to me!